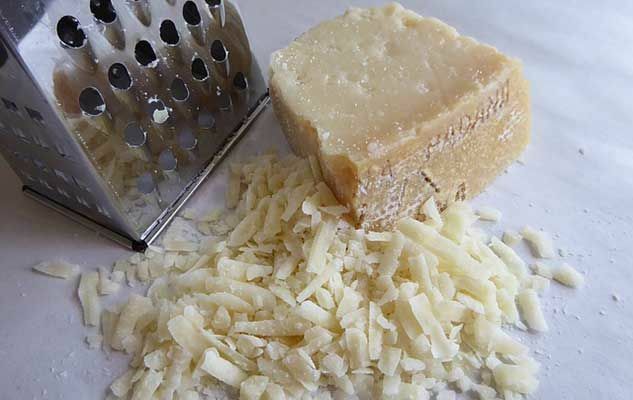 Are you a true Parmigiano lover? You may be interested to hear about a lamp that looks like a huge wheel of the king of cheeses. No, this is not an Italian novelty. Instead, it’s the creation of a Dutch couple, named Tom Sprengers and Cyrella Beckers. The lamp has the same details, size and colour as an original cheese wheel, measuring 43cm (17in) in diameter and approximately 25cm (10in) in height. It’s made of plastic and comes in two versions, the Classic (€200, about $275 before shipping) and the DLX (€275 or about $377), the main difference being the DLX is made with stainless steel interior parts and the classic is all plastic. The lamps are made to order, so expect to wait three to four weeks for delivery. They also offer a playful 23cm-diameter (9in) fixture shaped like a colander that comes in red, black, olive and white (€40 or about $55). Lamps can be ordered online from the Netherlands, via the http://www.parmesancheeselamp.com/ website.